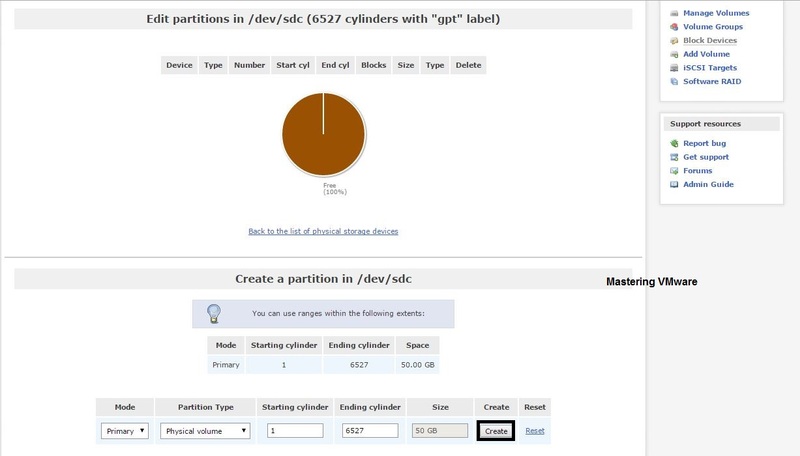 Home/LAB Guides/How to configure iSCSI Storage in Openfiler ? 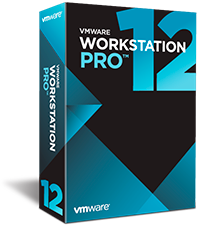 Hello friends as this is the LAB guides in previous post we have seen about how to install & how to configure the Openfiler for the first time. 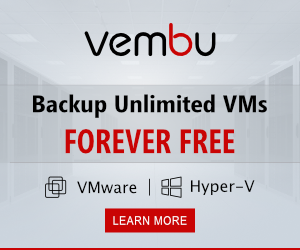 So after successful installation now is the step to create the storage LUN in the openfiler so that it can be used as the datastore in vSphere ESXi. 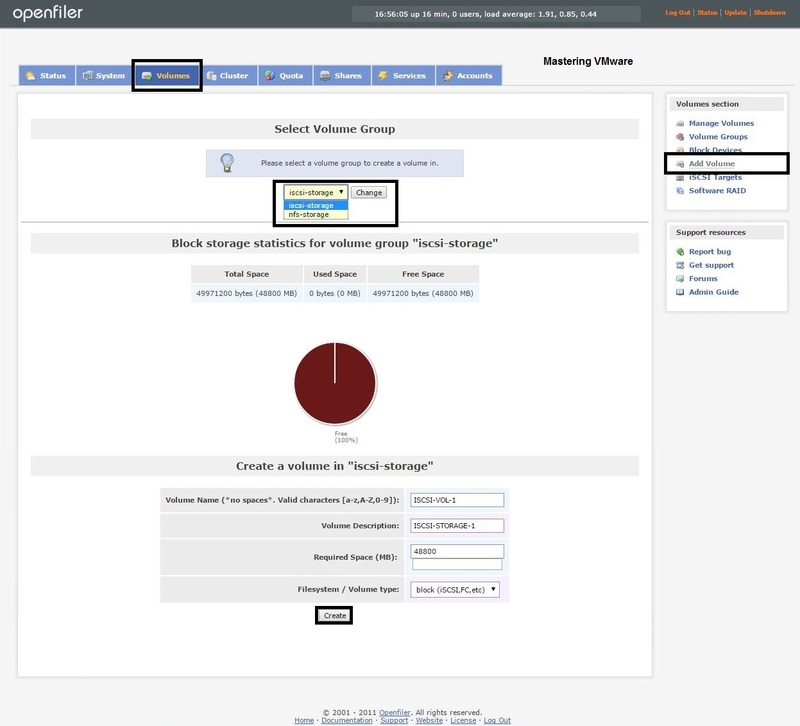 In this post we will see how to configure the iSCSI Storage in the Openfiler step by step. Login to Openfiler using the Web browser. Before creating the storage we need to start the iSCSI service in the Openfiler. So to start the service go to Services menu. Choose Manage services in the Services Section on the Right. 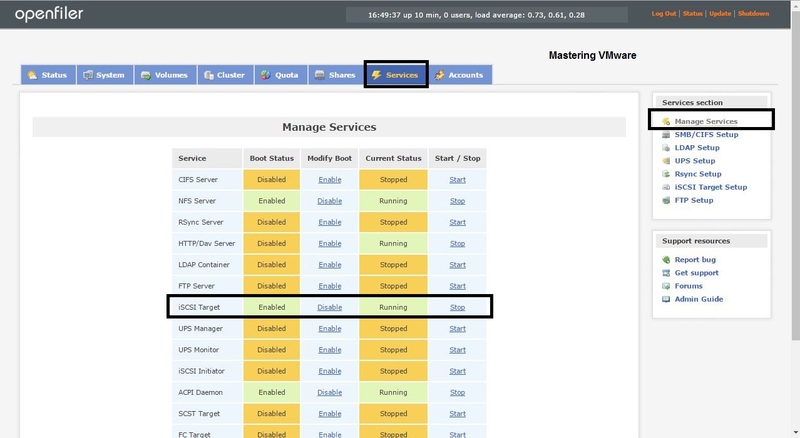 Here you can see the iSCSI Target Service so First start the service from Start/stop option & also Enable the service. Now the real process starts. 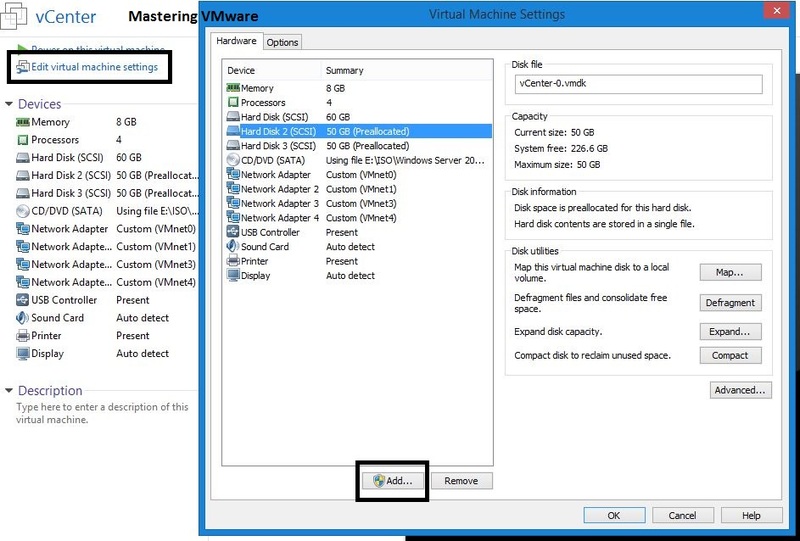 First you need to add the new Disk to the VM (In case of LAB) or if you already have it in the server you can see that Disk as below. Volumes > Volumes Section > Block Devices. Now you can see the Partition here. You can see that all the details are filled already so just check the starting & ending cylinder & the size then click on Create button to create new partition. At this stage we have successfully created iSCSI partition. Now we will be creating new volume group for that partition. 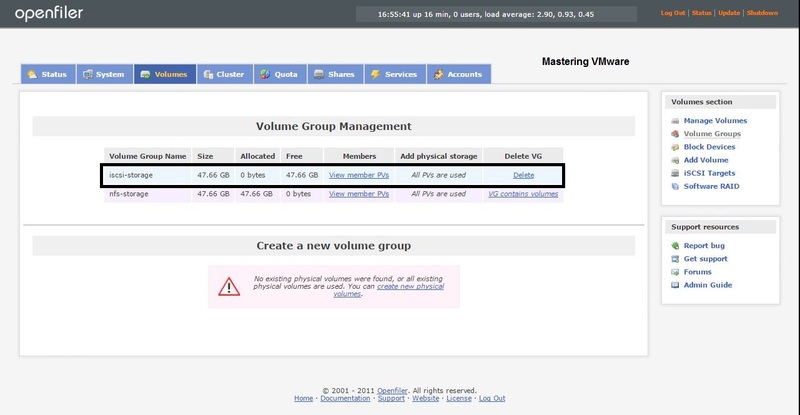 So to create partition go to Volumes > Volumes Section > Volume Groups. Here you can see the Create a new volume group section. Choose the Box to which volume you will be using. Click on the button Add volume group. Now you can see that your newly created volume group is showing with all the details such as name, size etc. Now we will create a volume from the Volume group which we had created. So to create volume go to Volumes > Volumes Section > Add Volume. First select the Volume group from the Drop down. 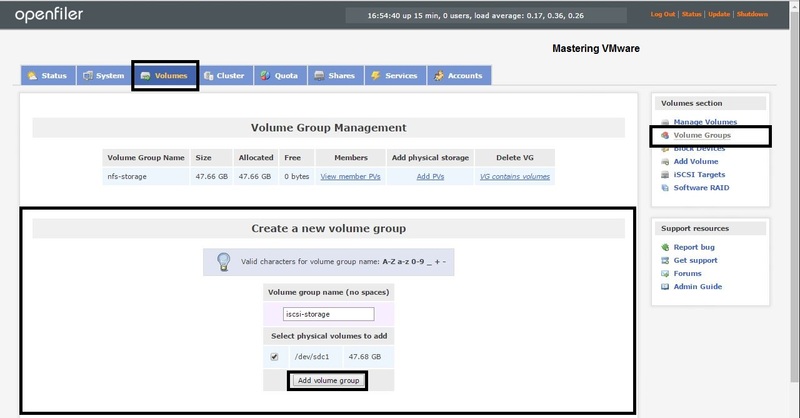 (If you are using for the first time you will see the first volume group or if you have multiple volume group then you need to choose the specific volume group) . Scroll down to the Create Volume section. Here you have to provide your volume details. 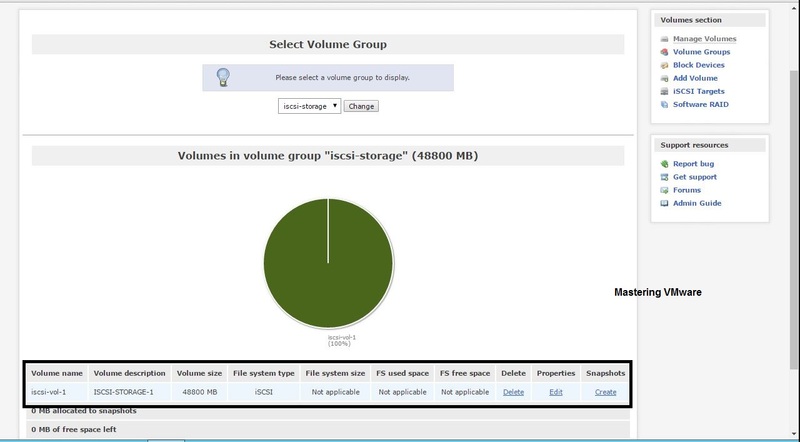 Provide the Volume Name, Volume Description, Size for the Volume & choose the block(iSCSI,FC,etc) from the File System/Volume Type. Click Create button to create new volume. You can see your created volume in the Manage Volumes from Volumes Section. It will show the details such as Volume Name, Description, Size etc. At this stage we have successfully created volume group & volume. Now it is the time to Add the iSCSI Target & LUN Mapping. First we will add the iSCSI Target. 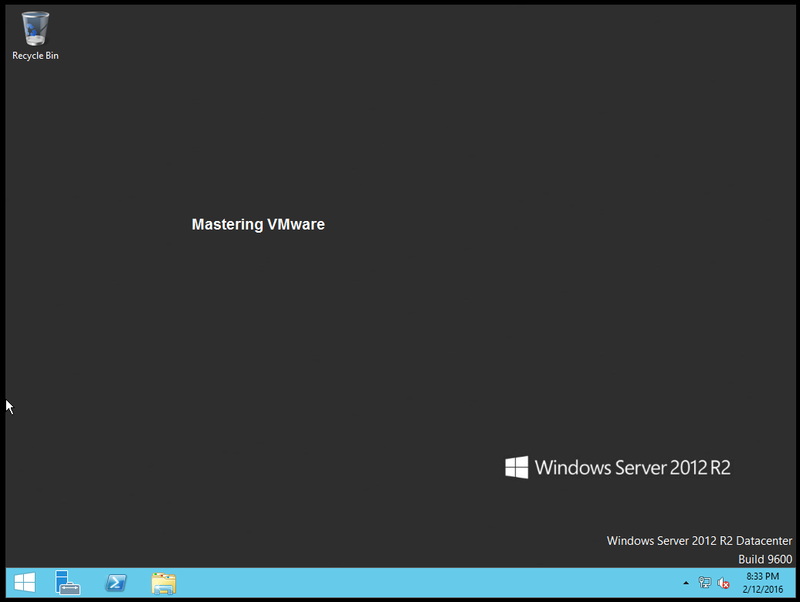 Go to Volumes > iSCSI Targets > Target Configuration. 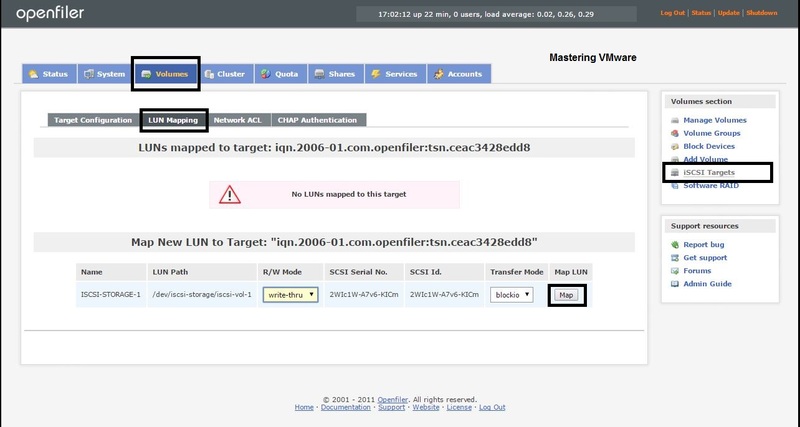 You will see the Target IQN Here so just click on Add button to add new iSCSI Target. We have created the iSCSI Target now we will Map to LUN to the iSCSI Target. So to Map the LUN go to Volumes > iSCSI Targets > LUN Mapping. Here you can see the iSCSI LUN you have created so just choose the ” Write-thru ” from R/W Mode drop down. Click on Map to Map the LUN. We are almost finished now we just have to provide Network Access to the iSCSI Target. So to Provide the Access to the iSCSI Target. Go to Volumes > iSCSI Targets > Network ACL. Choose the Allow from Access Drop down. Click on Update button to save. 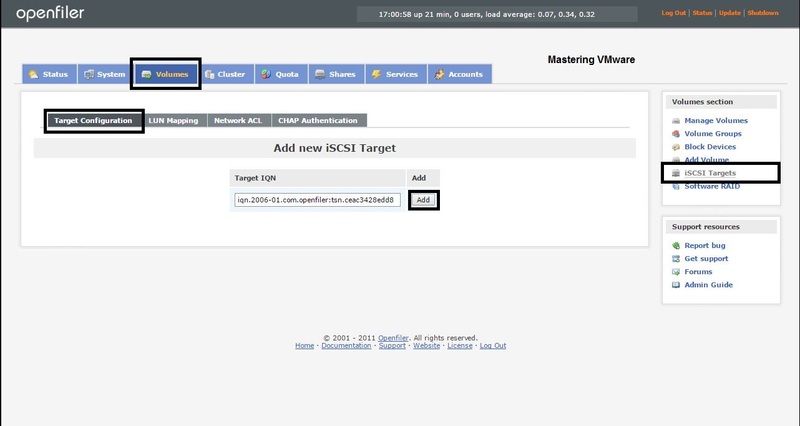 We have successfully created the iSCSI LUN & Provided Network Access to the iSCSI Target So now you can directly add this iSCSI LUN to the ESXi to check how to add iSCSI Datastore check below link. How to add iSCSI Datastore ? I didn’t configured openfiler cluster , you can check online or openfiler documentation for the same.